An open letter from New York University Jewish Voice for Peace, in which they ask other NYU clubs to pledge to not go on the Bronfman Center’s “Israel Experience” trip. We, the undersigned student groups, pledge to not participate in or apply for the “NYU Israel Experience.” This trip openly targets student leaders, members of student government, and students involved in religious and interfaith life, and is part of the right-wing strategy to combat the Palestinian movement for human rights and self-determination in the academy. The 3 sponsors of this trip, the Bronfman Center for Jewish Student Life at NYU, UJA-Federation of New York, and the Maccabee Task Force, have openly stated their opposition to the Boycott, Divestment, and Sanctions (BDS) movement for Palestinian human rights. Rabbi Sarna, the Executive Director of the Bronfman Center, has stated that Bronfman’s motivation for funding trips to Israel is to create “passionate attachment” to Israel and that they are a primary strategy of fighting against BDS on college campuses. If the question of a boycott of or divestment from Israel arises in student groups or in the Student Senators Council, the financial value of this trip (and other similar trips to Israel), equivalent to thousands of dollars, creates a conflict of interest for student leaders. This would hold true for any free or heavily subsidized and ideologically-motivated trip to any nation. This letter is not an endorsement of BDS, but we believe that trips like the one in question constitute propaganda and are not the right place to educate oneself about Israel-Palestine if one desires an honest analysis of the situation there. Additionally, we refuse to go on a trip funded by a group as toxic and Islamophobic as Sheldon Adelson’s Maccabee Task Force. Sheldon Adelson has been one of the largest donors to far-right Republican candidates for decades and was one of the largest contributors to the Trump Presidential campaign. He also has used his wealth to push Israeli politics to the right. For instance, Adelson owns the far-right Israel Hayom (Israel Today) free daily tabloid, Israel’s most widely-circulated newspaper, which was instrumental in electing Prime Minister Netanyahu’s current coalition in the Knesset, the Israeli parliament. 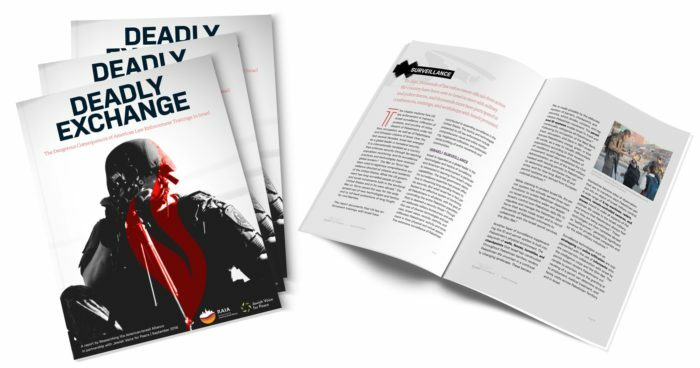 In its efforts to fight the nonviolent Boycott, Divestment, and Sanctions movement for Palestinian human rights, the Maccabee Task Force has funded Islamophobic groups like the David Horowitz Freedom Center, which has endangered student human rights activists by creating, funding, and distributing posters that claim that student activists are terrorists and “Jew haters,” erroneously associating them with Hamas. Israel has illegally occupied the West Bank since 1967, and Arab residents of historic Palestine have been subject to over 70 years of displacement and ethnic cleansing. The planned itinerary of the “NYU Israel Experience” includes a visit to “the country and surrounding territories,” suggesting that the trip will likely include a visit to the occupied Palestinian territories. Out of solidarity with the Palestinian struggle for human rights and self-determination and their demand for Israeli adherence to international law, we refuse to go on a trip that includes a visit to illegally occupied land.